Read the latest news from the Academy. The Robert J. Myers Public Service Award honors an actuary who made an exceptional contribution to the common good, specifically through a single noteworthy public service achievement or a career devoted to public service. The Jarvis Farley Service Award is a lifetime achievement award presented to an actuary whose volunteer efforts on behalf of the Academy have made significant contributions to the advancement of the profession through a lifetime of service. The Outstanding Volunteerism Award honors Academy volunteers who have made a single, noteworthy volunteerism contribution in the past year. The deadline for nominations is June 28, and the awards will be presented at the Academy’s Annual Meeting and Public Policy Forum, Nov. 5–6 in Washington, D.C. The Academy announced Friday that Brian Jackson, counsel to the Actuarial Board for Counseling and Discipline (ABCD), will be the Academy’s new general counsel and director of professionalism, effective Monday, April 15. 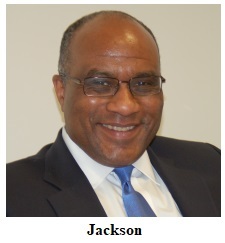 Jackson—who has been with the ABCD for more than seven years—will manage and advise on all legal and professionalism matters that are core to the Academy’s mission to establish and enforce standards of conduct, practice, and qualification for actuaries in the United States. He will provide legal support for all Academy activities. Read the news release. The Academy wrapped up presentations at the NAIC Spring 2019 National Meeting in Orlando, Fla., last weekend, including discussions with regulators at the Academy-hosted regulator-only professionalism breakfast on Saturday, April 6. Lisa Slotznick, Academy vice president, casualty, presented to NAIC’s Casualty Actuarial and Statistical Task Force, giving an overview of Casualty Practice Council activities, including predictive modeling modules the Academy will present at NAIC’s Insurance Summit in June. Academy Senior Property/Casualty (P/C) Fellow Rich Gibson also gave NAIC’s P/C RBC Working Group an update on several Academy projects. The Academy will release a post-NAIC alert soon. 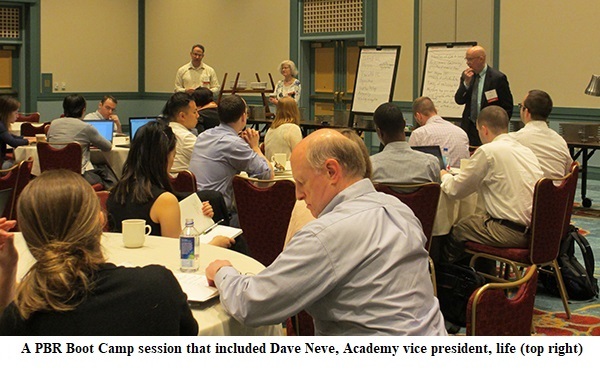 More than 100 people attended the Academy’s sold-out PBR Boot Camp in Orlando, Fla., this week, covering a variety of aspects of principle-based reserving (PBR) for life-practice actuaries. The three-day seminar featured more than 15 dynamic, interactive sessions. Presenters included Dave Neve, the Academy’s vice president, life, and attendees received targeted instruction and participated in intensive, focused discussion groups, sharing insights and learning from others’ experience of PBR in their practice. Enrolled Actuaries Meeting Draws Almost 800 Pension Professionals to D.C.
Nearly 800 actuaries and other pension professionals attended this week’s Enrolled Actuaries Meeting in Washington, D.C., where they heard presentations on a wide variety of retirement and pension issues. 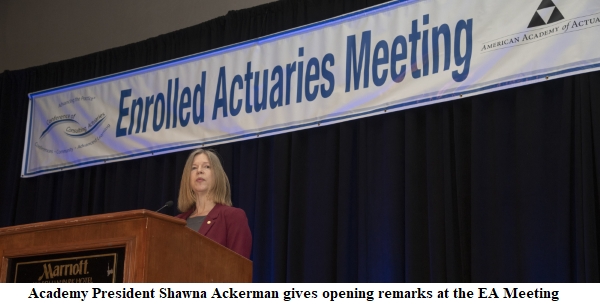 Academy President Shawna Ackerman gave welcoming remarks, noting the unique role of the Academy in the actuarial profession and the long history of the Academy’s support for this specialized meetings for EAs. Many Academy work products were discussed in the various sessions, including the recent practice note on investment returns and assumptions, an upcoming practice note on working with auditors, and current and exposed drafts of actuarial standards of practice (ASOPs) for pension actuaries. Josh Shapiro, Academy vice president, pension, led a discussion on the progress of the congressional Joint Select Committee on Solvency of Multiemployer Pension Plans; Steve Jackson, Academy assistant director for research (public policy) gave a preview of an upcoming report on retirement on generational perspectives on retirement, a follow-up to the Academy’s 2016 report on retirement readiness in the United States, United Kingdom, and Australia; and Academy Board member Bruce Cadenhead presented on qualified longevity annuity contracts (QLACs) as part of a retirement readiness session. Additional coverage will be in the forthcoming April Actuarial Update and the spring issue of The Retirement Report, which will be published next month. Join the Academy next week for our first professionalism webinar of 2019, “Promoting Ethical Decision-making: Rules, the Human Brain, and Cognitive Biases.” The webinar, which will be held on Thursday, April 18, from noon to 1:30 p.m. EDT, will feature an engaging discussion with Anita Cava, professor of business law and ethics at the University of Miami School of Business, who focuses on the fundamentals of behavioral decision-making and cognitive biases and how they affect judgment. Continuing education credit will be available. Register today. The Academy will host a webinar later this month to deliver the latest updates on P/C public policy activities at the state and federal levels. Speakers will give professionalism updates, including NAIC initiatives on casualty actuaries’ qualifications and credentials and the ASB’s proposed actuarial standards of practice on modeling and assumptions; present on predictive modeling; give a roundup of state activities; and discuss issues related to distracted driving. Presenters will be Lisa Slotznick, Academy vice president, casualty; and Academy Senior P/C Fellow Rich Gibson. The webinar will be held on Tuesday, April 23, from noon to 1 p.m. EDT. Register today. The April HealthCheck covers Academy health presentations at the NAIC Spring National Meeting, including on long-term care insurance; recent comment letters to the Department of Health and Human Services and the Centers for Medicare & Medicaid Services; and state and federal legislative, judicial, and regulatory activity. Academy Annual Meeting and Public Policy Forum—Nov. 5–6, Washington, D.C.
Life and Health Qualifications Seminar—Nov. 10–14, Arlington, Va.
A Healthcare Finance story cited the Health Practice Council’s issue paper, Expanding Access to Public Insurance Plans. Follow the Academy on Facebook, LinkedIn, and Twitter. Copyright 2019 American Academy of Actuaries. All rights reserved.